1886: The first American Woman to receive a PhD. in math (from Columbia University) was Winifred Edgerton Merill who was born and raised in Ripon, WI. At the end of her second year she petitioned to receive a Ph.D. degree, having fulfilled the required credits and written an original thesis titled "Multiple Integrals" that dealt with geometric interpretations of multiple integrals and translations and relations of various systems of coordinates. Her work in mathematical astronomy included computation of the orbit of the comet of 1883. After some controversy, the board unanimously voted to award her the Ph.D. in mathematics, which she received in 1886 with highest honors. 1901: The third person to receive a PhD in Math at UW was Charlotte Elvira Pengra . She was also the sixth American Woman to receive a PhD in mathematics. Her thesis about conformal representation of plane curves was entitled "On Functions Connected with Special Riemann Surfaces, In Particular Those For Which P Equals 3, 4, and 5." 1930: Elizabeth Stafford Hirschfelder received a Math PhD (advisor Mark Ingraham) She later married Ivan Sokolnikoff (PhD 1931), who was on the faculty from 1927-1944. She taught until 1954. The title of Dr. Hirschfelder's thesis was ``Matrices conjugate to a given matrix with respect to its minimum equation.'' She taught mathematics at Wisconsin for almost 20 years. With her first husband, Ivan Sokolnikoff, she co-authored in 1934 the important textbook ``Higher Mathematics for Engineers and Physicists.'' In 1997 she started the Elizabeth S. Hirschfelder Fund for Graduate Women in Mathematics, Chemistry, and Physics at the UW-Foundation. 1954: Etta Falconer earns a Master of Science degree in Mathematics at Wisconsin. She was an African American woman. After earning her M.S. at Wisconsin, she moved to Atlanta with her husband so he could coach football. She finished her PhD at Emory with Trevor Evans and became a Professor and Dean at Spelman College. She became a national leader in advocating for African American women in Mathematics. She was awarded an honorary Doctorate of Science from UW in 1996. Read her MAA biography. 1974-2006: Georgia Benkart taught at UW until she retired in 2006. She was President-Elect of the AWM in 2008 and President during 2009-11. She is known for her work in the structure and representation theory of Lie algebras and related algebraic structures. She has published over 100 journal articles and co-authored 3 AMS Memoirs in four broad categories: modular Lie algebras; combinatorics of Lie algebra representations; graded algebras and superalgebras; and quantum groups and related structures. Benkart's role as a teacher has led to her work in mentoring 22 doctoral students. 1991-2000: Thaleia Zariphopoulou taught at UW as an Assistant Professor from 1991-1994, and an Associate Professor from 1994-2000. Her research involves Financial Mathematics, Stochastic Optimization, and Quantitative Finance. 1992-present: Gloria Mari-beffa teaches at UW. Initially hired as a Faculty Associate, Gloria was promoted to Associate Professor in 2006. She has done a lot of work in outreach. Gloria was elected Chair in 2014. 1993-1998: Claudia Neuhauser taught at UW. Her research includes work on theoretical ecology, the role of space in community dynamics, theoretical population genetics and coalescent theory. 1997-present: Leslie Smith is currently a Professor. 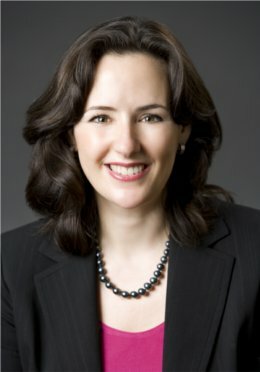 Leslie was elected Chair in 2005-2008, and again in 2012-2014. Her research areas are Theory, Computation and Modeling of Turbulence for Geophysical and Engineering Applications. 1998-2006: Eleny Ionel taught at UW. Her areas of research are symplectic topology and geometry, in particular holomorphic curves and moduli spaces of curves; and Gromov-Witten invariants, enumerative invariants and other gauge theoretical invariants. 2000: Olga Holtz received a PhD (advisor Hans Schneider). She now holds professorships at UC Berkeley and in Berlin, Germany. 2003-present: Julie Mitchell has a joint appointment as a Full Professor in the Biochemistry and Math Department. She studies predictive models of molecular interactions and protein design. 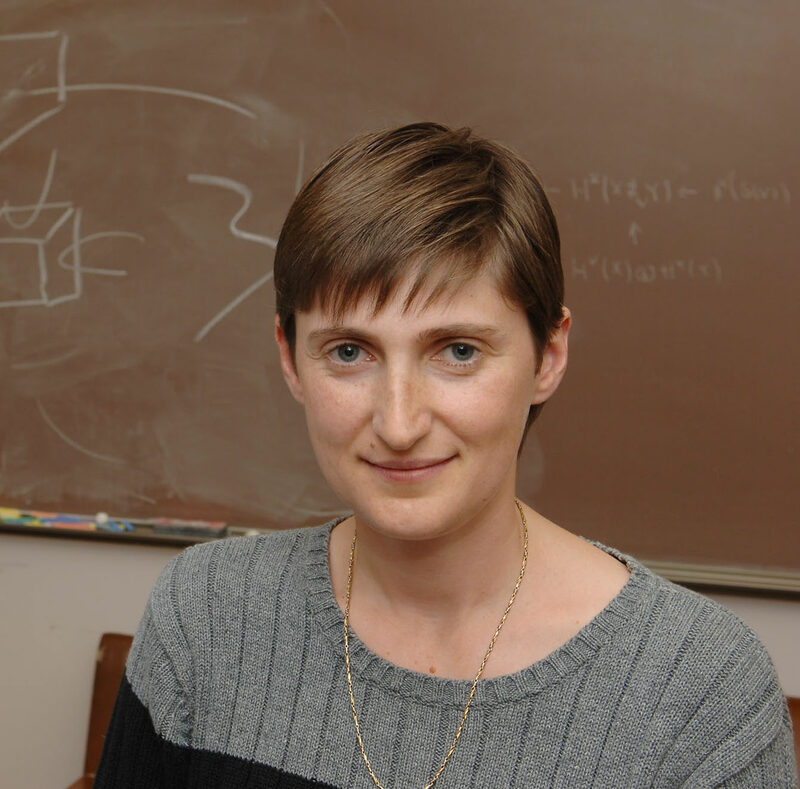 2011-present: Tullia Dymarz appointed Assistant Professor. In 2016, she was awarded a NSF Career Award. Her reserach is in geometric group theory, quasi-isometric rigidity, solvable groups, hyperbolic groups and analysis on boundaries of groups. 2011-present: Melanie Matchett Wood appointed Assistant Professor. In 2016, she was awarded a Packard Fellowship. Her research involves explicit descriptors of moduli spaces for algebras and modules for those algebras. 2012-present: Betsy Stovall appointed Assistant Professor. Her research involves harmonic analysis and dispersive partial differential equations. 2015-present: Lu Wang appointed Assistant Professor. In 2016, she was awarded a Sloan Research Fellowship. Her research involves geometric analysis and geometric flows, inlcuding mean curvature flow, Ricci flow and harmonic map heat flow. 2015-Present: Qin Li appointed Assistant Professor. Her research involves applied analysis, numerical anlaysis and scientific computing as it relates to asymptomiatic analysis in kinetic theory, non-adiabatic modeling in quantum systems and explaining sparse structure in stochastic PDEs.